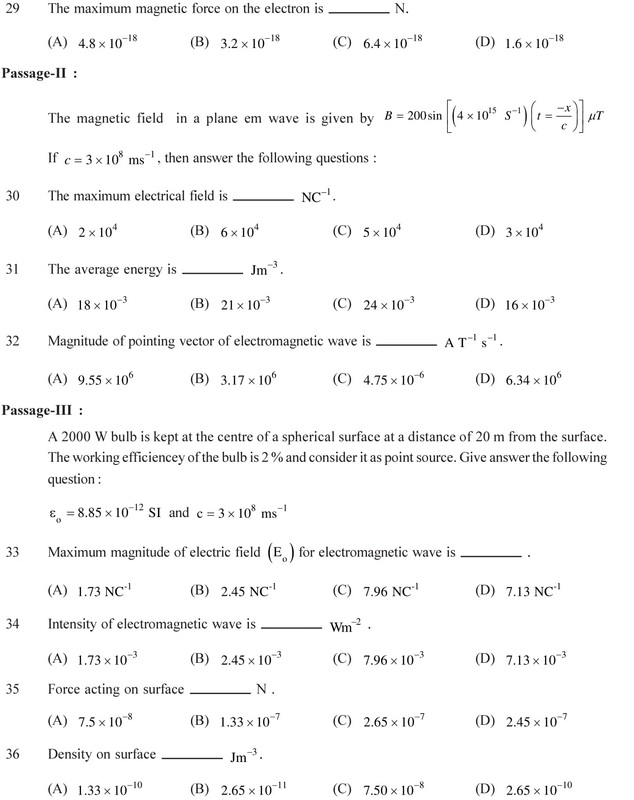 NCERT Solutions for Class 12 Physics Chapter 8 Electromagnetic Waves in English Medium free to download as PDF file format. 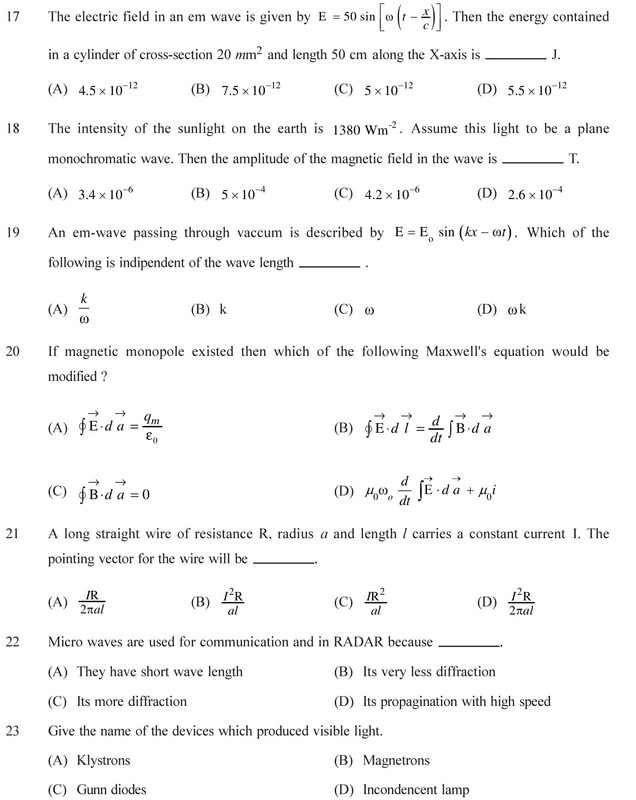 Solutions as well as Practice questions with answers are given below for the preparation of competitive exams and CBSE based exams. 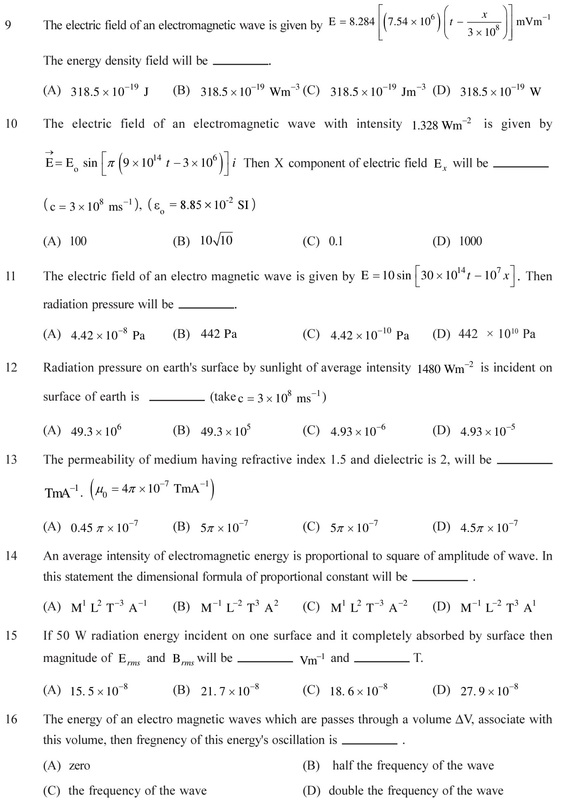 Download NCERT Solutions for Class 12 Physics Chapter 8 Electromagnetic Waves – EM Waves in PDF form with the links given below. The questions given below with answers, are important for CBSE exams as well as entrance exams like AIIMS, NEET, JEE Mains and Advance, GGSIPU, KITE and other medical and non-medical exams. Gauss’s law and Faraday’s law for magnetism. 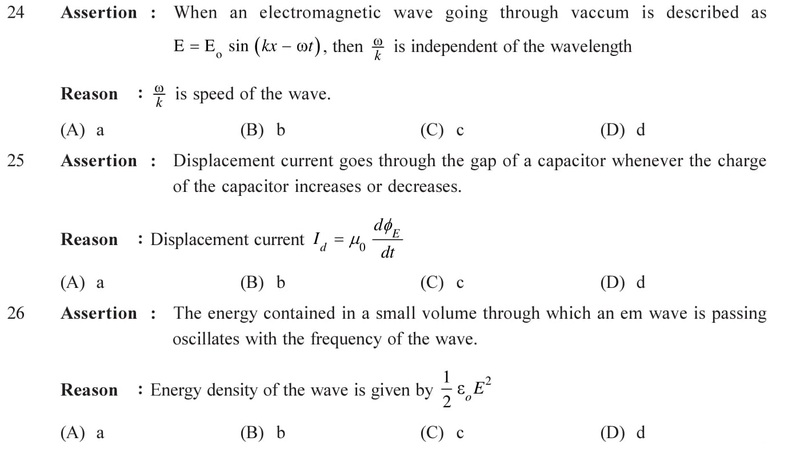 Ampere – Maxwell law shows that the total current passing through any surface of which the closed loop is the perimeter is the sum of the, conduction current and the displacement current. 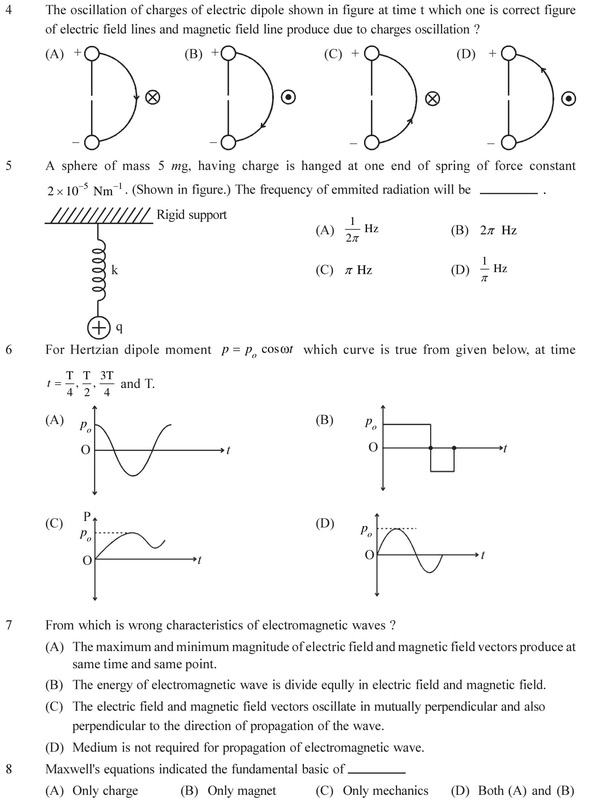 Displacement current produced due to change of electric field or electric flux with time during the procedure of charging or discharging of capacitor. See Answers. 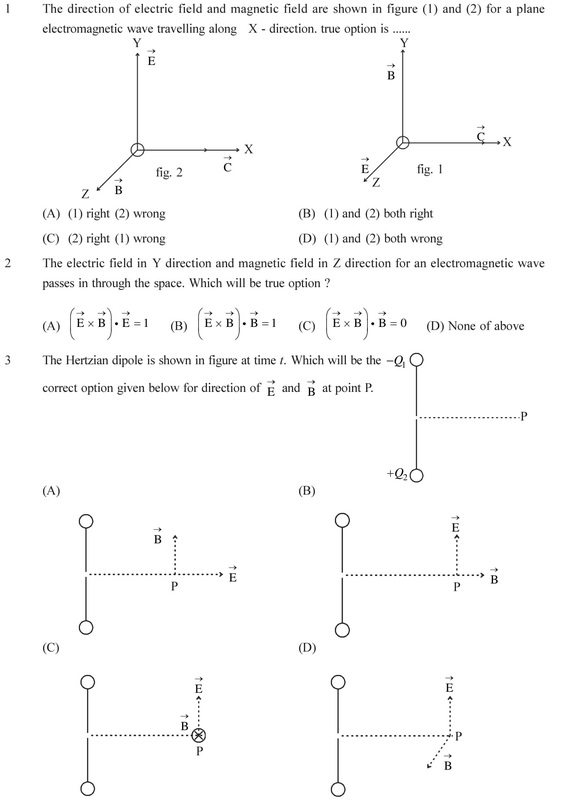 Difference between EM ways and Plane EM ways, polarized and unpolarized ways, velocity of electromagnetic ways in free space, refractive index of medium and relation between E and B. Electromagnetic energy per unit volume of EM ways and its intensity. See Answers. Instruction : Read assertion and reason carefully, select proper option from given below. (a) Both assertion and reason are true and reason explains the assertion. (b) Both assertion and reason are true but reason does not explain the assertion. (c) Assertion is true but reason is false. (d) Assertion is false and reason is true. See Answers. Answers of questions based on the given paragraph. See Answers. 1 (A), 2 (C), 3 (C), 4 (B), 5 (D), 6 (A), 7 (C), 8 (D), 9 (B), 10 (B), 11 (C), 12 (C), 13 (D), 14 (B), 15 (D), 16 (D), 17 (D), 18 (A), 19 (A), 20 (A), 21 (D), 22 (B), 23 (D), 24 (a), 25 (a), 26 (D), 27 (C), 28 (A), 29 (B), 30 (B), 31 (D), 32 (A), 33 (B), 34 (C), 35 (B), 36 (B).